Left on East 1st St.
of used running shoes for our collection efforts. We will be donating to the less fortunate. Send Checks To: Waterloo Optimist Club, c/o Trevor Gahn, 1714 Ontario Drive, Waterloo, IL 62298. CLICK HERE to PRINT and MAIL IN YOUR ENTRY and PAY BY CHECK. Please read this form carefully and be aware that in registering and participating in this event you will be waving all claims for injuries you might sustain arising from this event. As a participant in the Waterloo Optimist Club 5K Run/Walk Race for Youth, I recognize and acknowledge that there are certain risk of physical injury and I agree to assume the full risk of any injuries, including death, damages or loss which I may sustain as a result of participating in any and all activities connected and associated with such event. I agree to waive and relinquish all claims I may have as a result of participating in the event against the Waterloo Optimist Club and its members. I do hereby fully release and discharge the Waterloo Optimist Club and its members from any and all claims from injuries, including death, damage or loss, which I may accrue due to my participation in this event. I further agree to indemnify and hold harmless and defend the Waterloo Optimist Club and its members from any and all claims resulting from injuries, including death, damages and losses sustained by me and arising out of, connected with, or in any way associated with the activities of the event. What goes better with BBQ than beer?!?! What goes better with beer than BBQ?!?!? 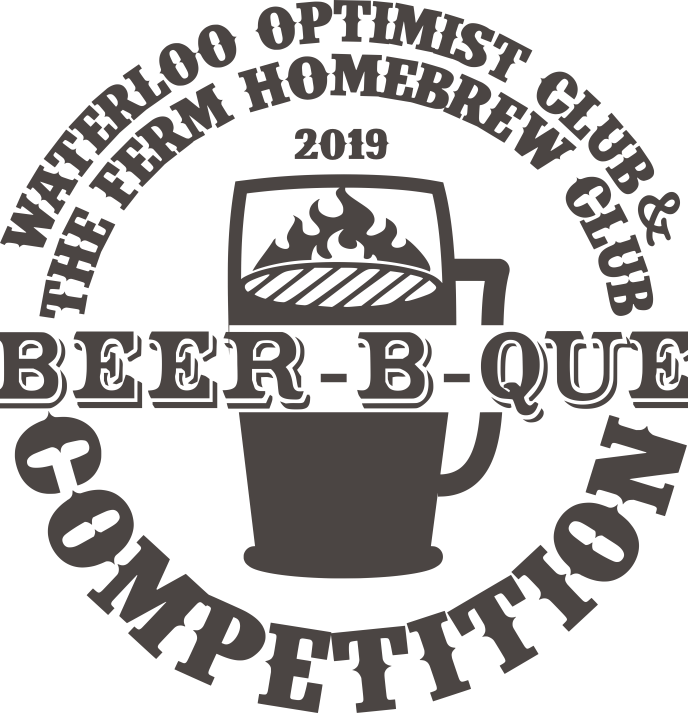 The Waterloo Optimist Club has teamed up with The Ferm Homebrew Club to throw our first Beer-B-Que Competition! This will be a rain or shine event held on Main Street at the Monroe County Courthouse in Waterloo, IL on May 11 from 11 AM-4 PM. Tickets are on sale now at www.brownpapertickets.com/event/4094862 . Combination armbands start at $35 during our online pre-sale. We hope you can join us to either compete in our backyard amateur BBQ competition (see link below) or to come and enjoy delicious BBQ and homebrewed beer! Must be 21 to taste beer; commemorative glass with the Beer B Que logo is included with a beer tasting pass! All proceeds from the day will go to the Waterloo Optimist Club. The Waterloo Optimist Club is a youth fundraising organization that focuses on helping out the youth of Waterloo, IL and the surrounding areas. The Ferm Homebrew Club is a not for profit organization that focuses on the education, tasting, and furthering of homebrewing as a hobby in the Monroe County, IL area. CLICK HERE for EVENT TICKETS! Thank you for your interest in the Waterloo Illinois Optimist Club Academic Scholarship! Letter of recommendation (one only) from principal, counselor, or department head. Personal letter from applicant setting forth reasons you are applying and your future plans. Submit the completed application with all documents specified to your High School Counselor's Office no later than Friday, April 12, 2019. Thank you for your interest in the Waterloo Illinois Optimist Club Vocational Scholarship!